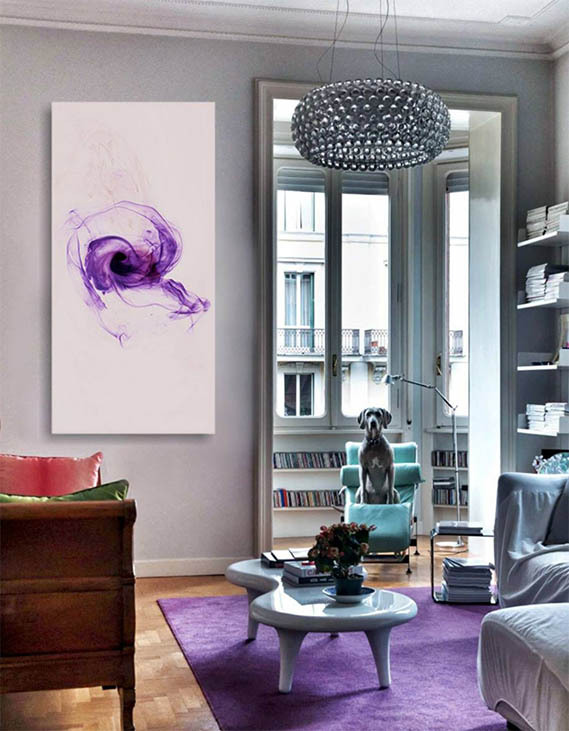 Interior Design and Home Decor world plainly represent the eclectic spirit of our time. Designers should second that needs and show the suggestions, enriching with fantasy and personality styles with no fear of taking paths outside the box. The use of colors in a material form, or diluted and combined with others has this purpose in Interior Design field. 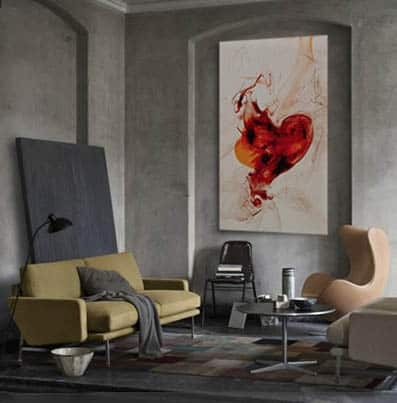 And aims to communicate emotions and sensations with abstract forms to which the viewer can, in his personal imagination, give a sense or meaning of his own. 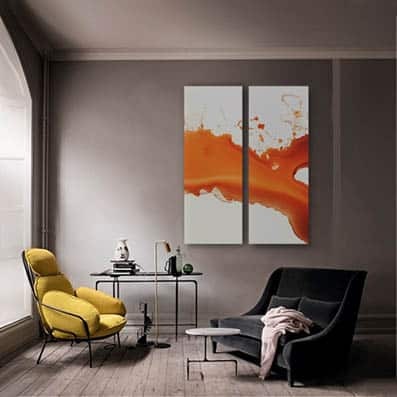 Color spots designed to blend canvas Wall Art and Design in harmony, with the rigor and style of important shapes and dimensions that do not want to go unnoticed becoming expression of the owner’s perspective in home decor. An interesting option is the possibility to have a preview of the selected subject virtually positioned into the home interiors through a rendering. Please do not hesitate to contact me for any information you may need. The limited edition images are printed on 400 gr canvas with the highest quality available on market and mounted on 3.5 cm thick wooden frames. Customers can also order unframed items and personally manage their assembly. An excellent solution to contain shipping costs, in particular if you leave far away from Italy. A very interesting option is to evaluate the artwoks within your own environment, by sending photos of the wall to be completed directly to my email address . 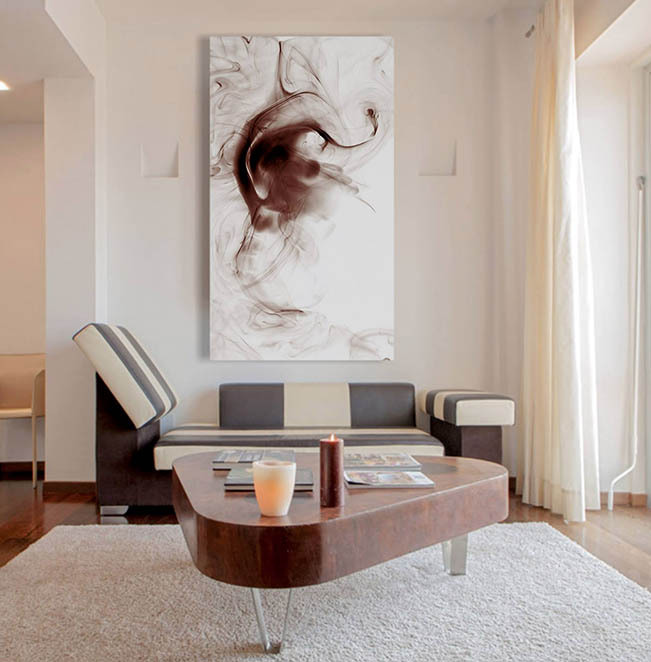 I will virtually insert the image with a rendering into your home interior to better judge its positioning in the context along with the style of the ambience in which it would be placed. An excellent way to decide if you should have any indecision. Do not hesitate to contact me for any further information you may need!